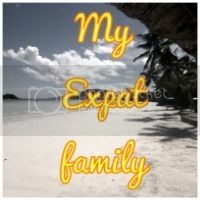 I am not one of those expat mums who can breathe a sight of relief at the weekend when the loneliness of expat life may be relieved by having your other half at home. I am not one of those mums who can reliably say 'yes' to the kindergarten staff when they announce the parents' evening will be on such day. I am not one of those expats, I envy, who can sign-up to meet up other expat ladies for a secret Santa party. Because as well as the loneliness of being an expat mum, I also have a travelling husband. He is away from home for about half of each month. And this includes weekends as his trips are not a mere 2-hour train ride away. In the past couple of months alone, he has been to Berlin, Tokyo, Tunis, Washington and probably a few other places I can't remember. We have had one full weekend with him (but who's counting??!!). It is a tough set up as I cannot rely on countless numbers of family members or friends to just pop round and do me favours to help me out. After 2 years here, we finally have a wonderful babysitter but she is not always available. She has her own life. Are you feeling sorry for me yet? I can tell you it is hard (very hard some days) but we survive. LJ and I have devised our own little coping strategies. And we are getting pretty good at it. We make sure that, when P is away, we schedule plenty of time out of the house: playdates, visits to the zoo, playground, library, etc. I like to plan the days so they are full of things to do (some more mundane than others) so that we (I) don't get bored and I start feeling sorry for myself. - use a globe or a map: we do show her before P leaves where he is going on a globe and point out to a few things people in that country like or do. She also likes to ask what animals live there. Tunis was our camel 'lesson'. Tokyo was about kimonos and how people may dress differently. Of course, she has no concept of distance yet but it helps her label those places (for herself and to talk to others). - contact: we use Skype or Facetime to talk to P daily. LJ now also understands the concept of sending her dad a picture for him to see on his phone, so we use that as a reminder of his presence on the other side of the phone or ipad. We sometimes struggle to make the time difference work for everyone. During his last trip to Tokyo, P was about to go to bed when he called us every day and we often saw him in his PJs prompting shock from LJ who didn't understand why he was in his PJ. We had to explain time differences for the first time. - bring gifts back: the gifts don't have to be anything fancy. LJ used to love when P would bring her the socks and blindfolds of the plane companies he travelled with. She used them with her dolls and teddies. 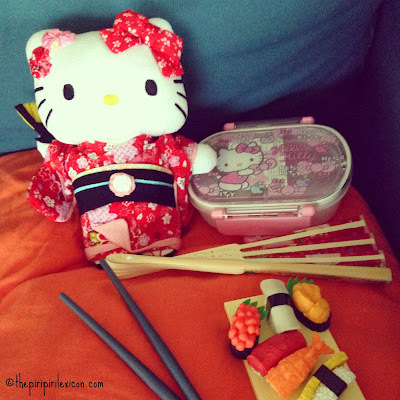 From Japan, he brought her back a little pretend sushi set to play with and this was a wonderful opportunity to explain about different eating habits. I would of course love to either be travelling with him to some of these destinations or that he stayed home a little more. But we do try and make the best out of a difficult situation as we all miss each other during those times. OMG, I could have totally written this post! We do about the same as you. We've also started a little tradition of R bringing back a small flag from each new country. It really can be tough though... Hang in there! Thank you Sandra. It is tough on everyone. But we have no choice, so we make the most out of it. I like the flag idea. I will suggest it to him for next time. 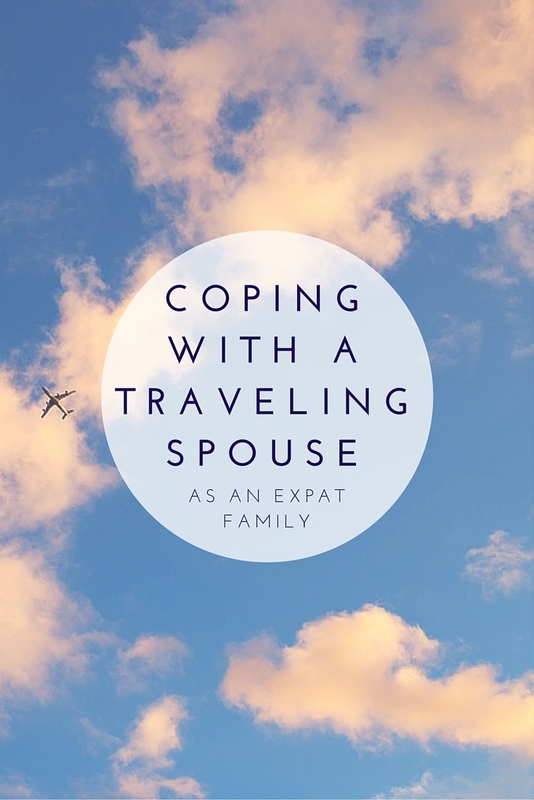 My husband doesn't travel but I can tell you how hard it was for me at the beginning, with a small child and no friends, not knowing the language. I am so much better now- a daycare, school and friends helped a lot! Good luck, Annabelle- and thank you for this post! I think it's fantastic that you turn it into a learning opportunity and you are really introducing her into so many different cultures withot even going to these countries it's amazing....and very clever!! I totally agree with the fill your day thing, it definitely helps!!!! It is horrid. 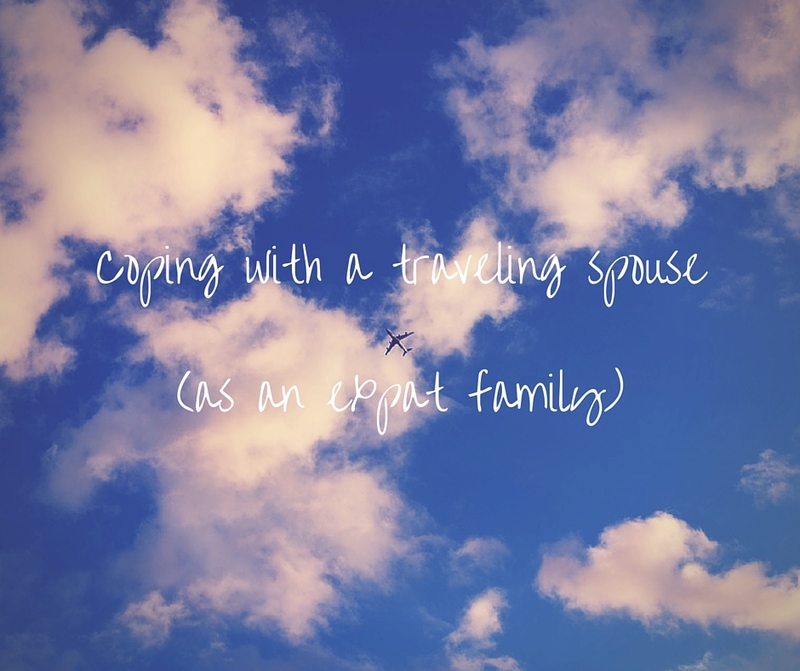 My husband travels quite a lot (he was away just two weeks after our new baby was born - thankfully I was allowed to drive by then) but only for a few days at a time. I remember my dad being away a lot when I was a little kid (and when I was a baby he was away the first 6 months). It sounds as though you are doing everything brilliantly and making a bad situation a little less bad, I am a bit in awe! It sounds like you have some fantastic habits in place to keep in touch and keep life fun. WELL DONE - you're doing a great job!! Totally get you with the babysitter ...Have you asked if your current one knows another... Two or three options is definitely preferable ;-) - It's about taking those opportunities to make sure that you feel like you're connecting with people and establishing a network of relationships yourself too. Gosh, I hear you! It is so very hard to be single parenting when all the usual playdates have been reunited with their families, during the 5-7pm hour when you have explored every possible activity and you just count down the hours till bedtime, when you collapse in bed after laundry or dishes just to survive the same thing again the next day. We decided I have some form of leftover trauma from my husband's first trip post baby #2. He was on the other side of the world (Japan as well) when I got an accute form of strep, including migratory polyarthritis from the infection. I had guests, who were sick with a GI bug. I remember weaping as I rethreaded the washed carseat (had been puked on) over skype with my husband in order to get me to the doc's. Baby was screaming because milk had dried up, toddler was screaming because he had been sat in front of too much TV for me to survive the day and then after struggling to fix seat in car, I got lost. I remember almost collapsing on the floor of the doc's office when they took one glance at me and told me they would see me despite being 40 mins late. It was so bad they asked if I could make it home and if they could arrange for a nanny service. Somehow, we make it through, we survive to laugh about it and send him on more trips, but it never is easy. Hang in there, you are certainly not alone! And a big hug to you my friend. Yet doing it in a different country where you have no support is a little different.